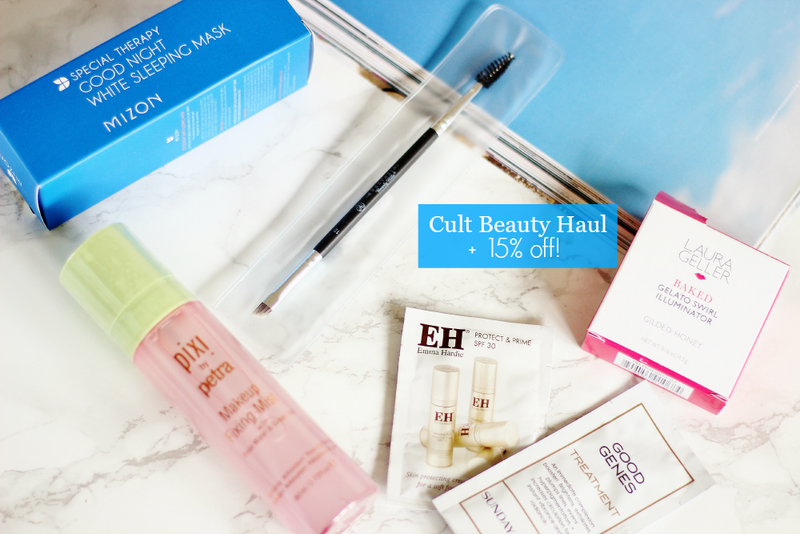 This is the fastest I’ve ever received an online order and written the haul post up for you, but because I don’t know how long they'll have this discount I wanted to be speedy! 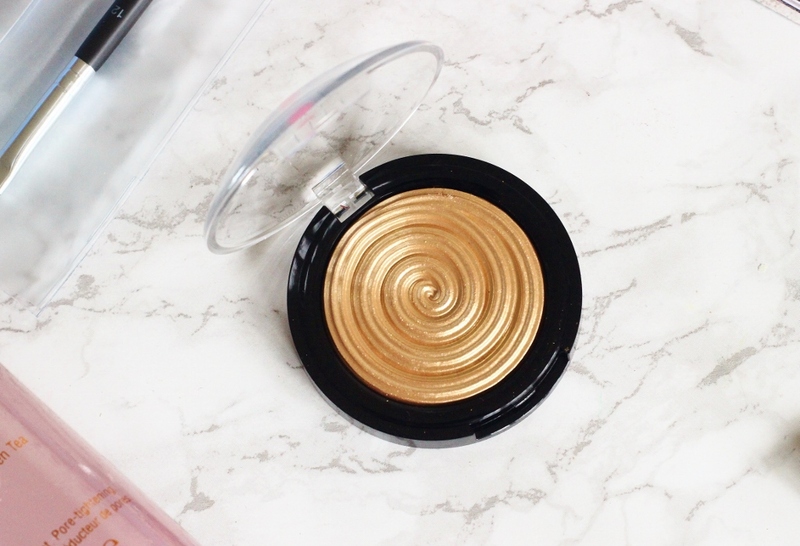 Last week I was browsing on one of my favourite sites - Cult Beauty and I noticed they had the gorgeous Laura Geller Baked Gelato Swirl Illuminators, just not the one that I had my heart set on ‘Gilded Honey’. I love online stores which email you when stuff is back in stock and turns out I didn’t have long to sit and be disappointed because Monday morning I got the email I was waiting for - it was back in stock! You guys know me, firstly I do my best to find some sort of a deal whenever ordering online and secondly I refuse to pay over £3 for postage and packaging. I added the discount code to the basket and the amount I saved was basically the cost of postage?? ._. Nope couldn’t have that, I’d much rather *ahem* fill up the basket till I get free postage even if it was over the budget I had originally planned - I know I’m not the only one who does this so stap judging me haha! Anyways on to the actual, rather spontaneous haul which isn’t all makeup for once. I read a review of the Pixi Makeup Fixing Mist (£16.00) and instantly added it on my to buy one day list because it sounded really impressive with claims to hydrate, tighten pores and keep makeup in place. It also includes green-tea and rose water, two ingredients which sound lovely for the skin. I was also tempted to pick up the famous glow tonic...but that’s gonna have to wait till another day! 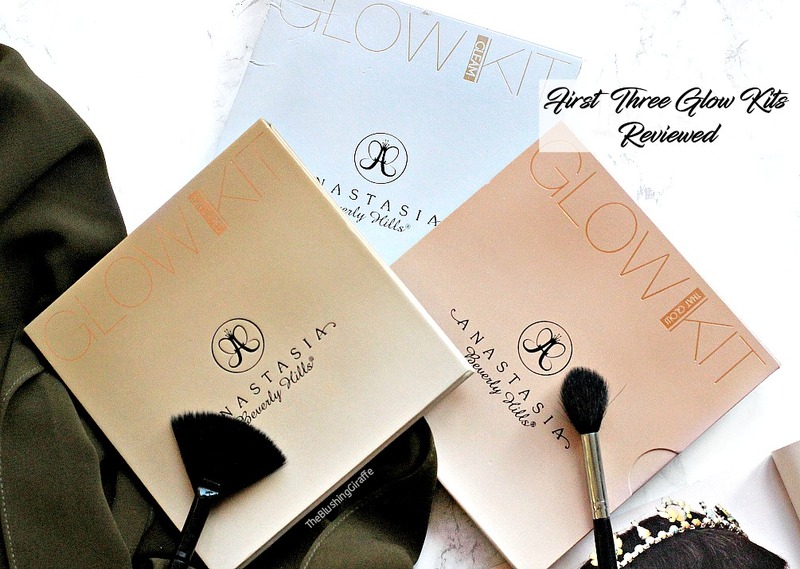 The Anastasia Beverly Hills Large Synthetic Duo Brow Brush #12 (£15.00) has been on my ‘maybe’ list for the longest time. I didn’t have a decent brow brush but I did okay with the Real Techniques chunky one and a mascara spoolie from E.LF. so this wasn’t a total essential. It’s smaller than the ‘large’ bit of the name would lead you to believe but really its love at first sight - this works incredibly well with the brow pomade and I reckon it’s an investment I won’t regret! 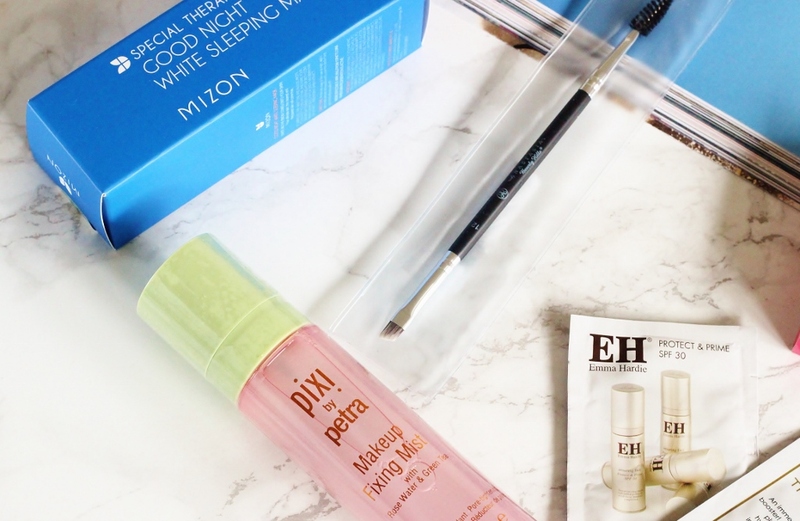 The Mizon Special Therapy Good Night White Sleeping Mask (£10.00) was by far the most random purchase of the bunch - my first ever Korean skincare product. I went for this primarily because it was the cheapest product I actually would use, it’s an overnight mask which claims to improve the skintone and not lose moisture and really who doesn’t want that? Of course the star of the haul is the beautiful Laura Geller Baked Gelato Swirl Illuminator in Gilded Honey (£21) JUST LOOK AT IT!! I didn’t jump on the Becca Champagne Pop bandwagon because I was in no position to be making another Sephora order again - but to this beauty??? It had to be mine, honestly one of the most perfect golden highlight everrr. Especially when used on a wet brush, it makes features pop and on medium/olive/golden skintones in particular it is like a match made in heaven. When you spend over a certain amount you’re entitled to two free samples, I went for the Good Genes, Serum & Mask and the Emma Hardie Protect & Prime 30SPF. Oh on to the discount code - don’t think I’ve forgotten about you guys ^_^ basically you need to make an account and fill in your beauty preference section which takes about two minutes, you get the code automatically! The code is ‘YOU15’ but it won’t work till you’ve done the beauty preferences and it saved me almost a tenner - yay bargain (kinda). Also I'm very impressed with the speed of delivery - I ordered it Monday early afternoon and it arrived Tuesday morning, what more could I ask for?! What is your favourite highlighter of the moment?